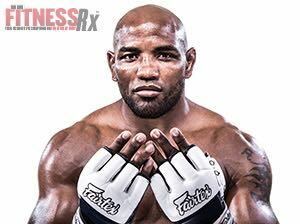 Yoel Romero (5-1) will return to the octagon on November 6th, 2013 for UFC Fight Night for the Troops 3 on Fox Sports 1 versus Ronny Markes (14-1). Romero is coming off an electrifying UFC debut back in April for UFC on Fox 7 where he won a coveted Knockout of the Night Bonus with a massive flying knee to the face of Clifford Starks 1:32 minutes in the first round. “I know Ronny has very good jiu jitsu and has decent MMA all around,” indicated Romero. “He’ll have to be able to take me down in order to use it though.” Whether or not Markes can take Romero down remains to be seen, but he seems confident that he will finish this fight early. Romero trains at the world-renowned American Top Team at the Coconut Creek and Kendall locations under Ricardo Liborio and is managed by ML Management. Romero’s fight at UFC Fight Night for the Troops 3 will take place on Wednesday, November 6, 2013 at Fort Campbell, KY and will be aired live on Fox Sports 1. Follow Romero on Facebook @YoelRomeroPalacio or on Twitter @YoelRomeroMMA. About ML Management Group ML Management Group was founded by a group of business executives and entrepreneurs to provide talent management specifically to the Mixed Martial Arts (MMA) industry. ML Management Group takes a comprehensive approach to MMA management, providing our clientele with a holistic approach and professional business environment for them to manage and further their careers, financial interests, and personal life objectives. Visit us at http://www.molonlabemma.com.